In late October 2018, Skoda revealed the first official pictures of the all-new Scala hatchback in its camouflaged form. Scala, which should not be confused with Renault Scala, will stand in place of the current generation Rapid in several markets and it will be more practical than the sedan. 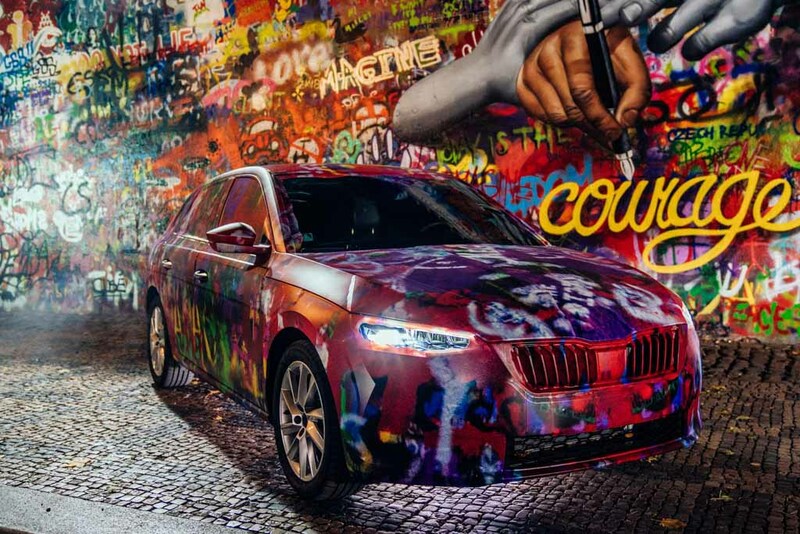 The Czech Republican auto major has continuously been releasing teasers of the Scala but none as significant as the new set of images. 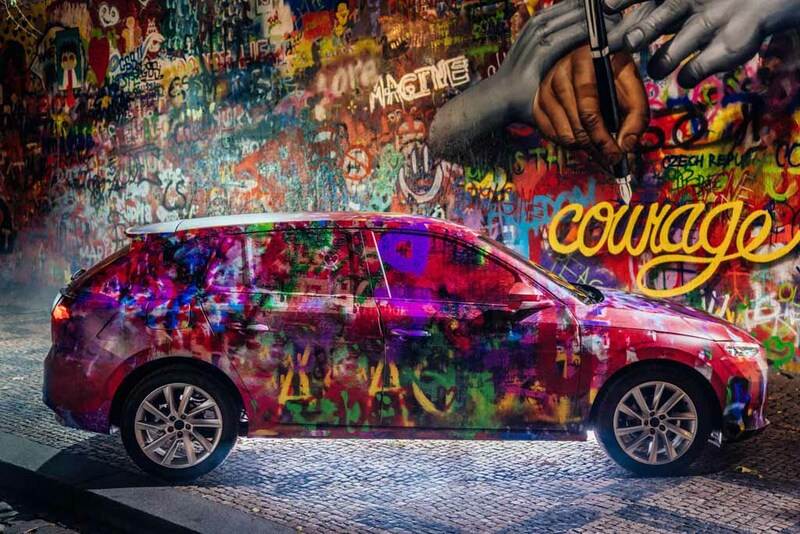 Completely showcasing the five-door hatchback’s interior as well as street-art blend exterior, Skoda hired a group of artists named Chemis to drench the Scala in graffiti and was shot by Dave Krugman. 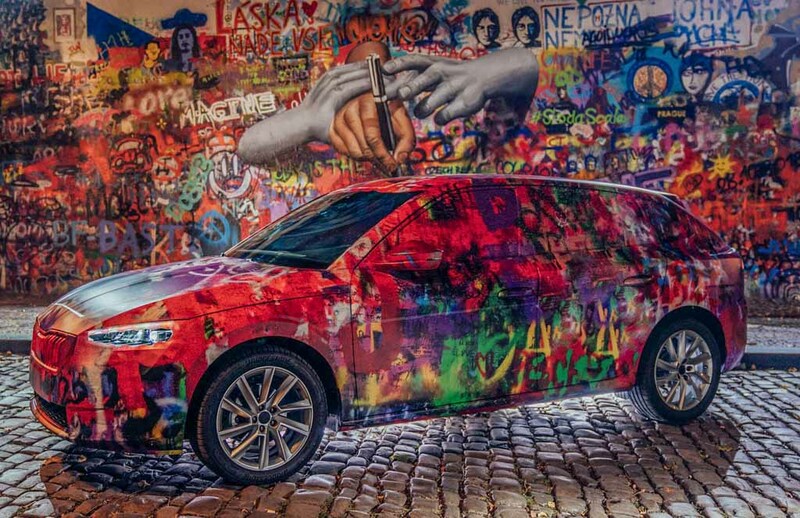 The spray painted Scala takes inspiration from Lennon Wall in Prague that emphasises courage and freedom. The Scala’s silhouette is nothing short of a bohemian design and it differentiates itself from the Rapid Spaceback wagon and notchback by its unique stature. The raked windshield leads on to the roofline that dips down only at the end allowing for tall pillars. The Scala will have ample ground clearance and the long curvature rear indicates good amount of space at the boot. The overall silhouette also points at a spacious interior for the upcoming Scala. The Mladá Boleslav based brand has presented a modern interior with less use of physical buttons and its clean appearance will lure in customers. 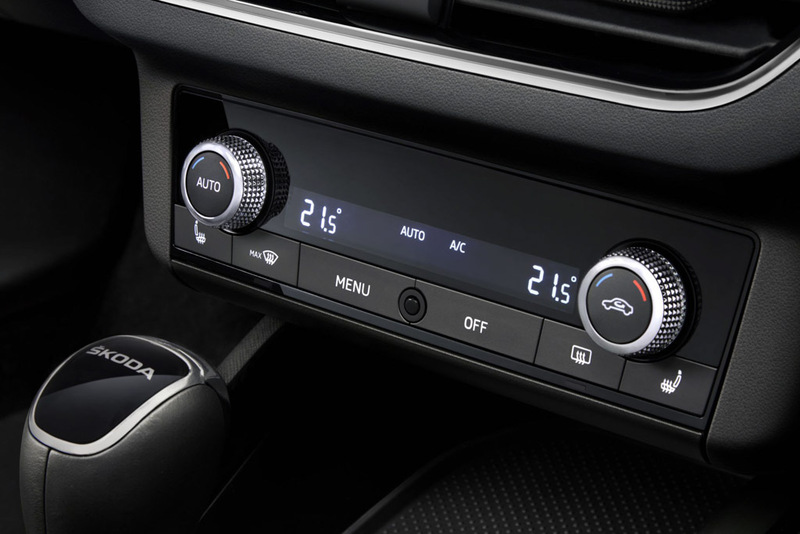 It comes equipped with a dash-mounted floating 9.2-inch touchscreen infotainment system – said to be the largest in the segment. 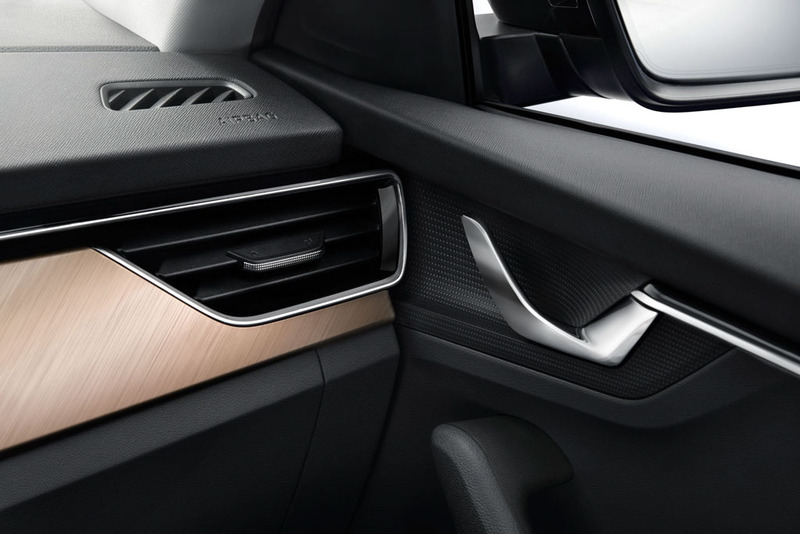 The dark theme on the interior is complemented by the wooden trim on the dashboard as well as subtle use of aluminium accents on the door handles, AC vents and steering wheel. The 2019 Skoda Scala will make its global premiere on December 6 at Tel Aviv in Israel. 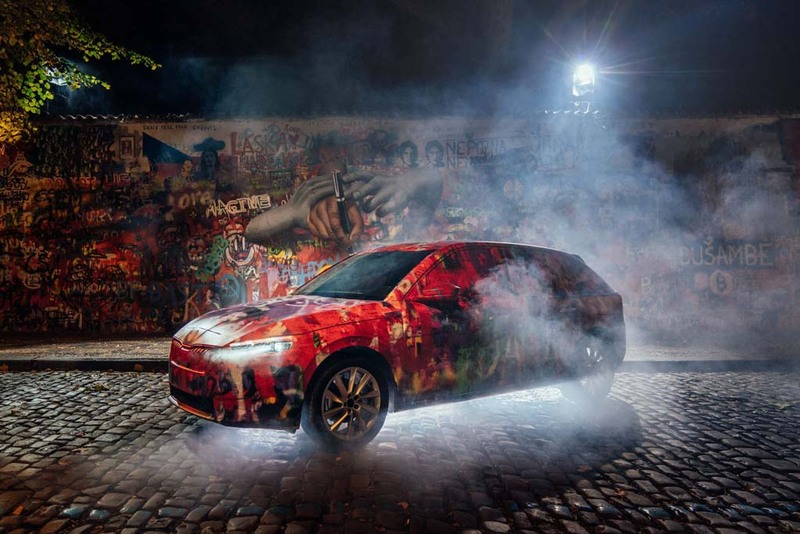 The production version of Vision RS Concept showcased at the 2018 Paris Motor Show is expected to make a huge impact as its Kodiaq and Karoq siblings. The hatchback measures 4,362 mm in length, 1,793 mm in width and 1,471 mm in height with wheelbase of 2,649 mm and segment-best 467 litres bootspace capacity that can be increased to 1,410 litres. 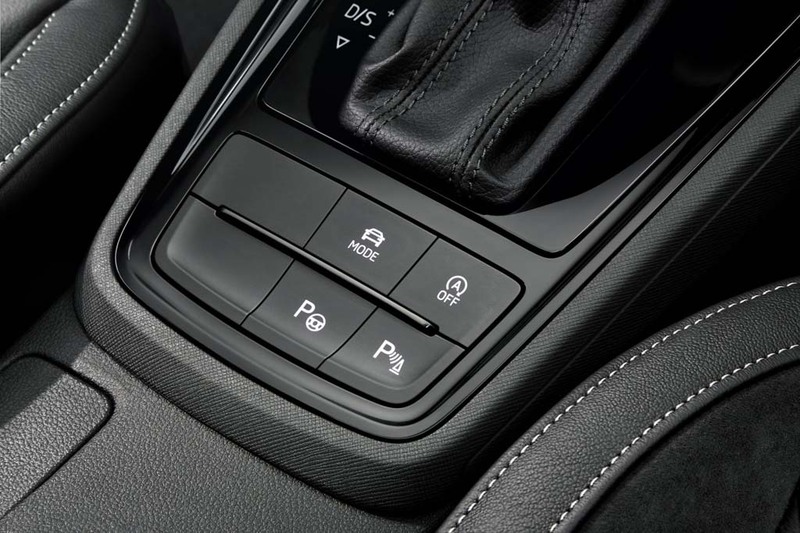 It will be offered in five engine options with power outputs from 90 PS to 150 PS.